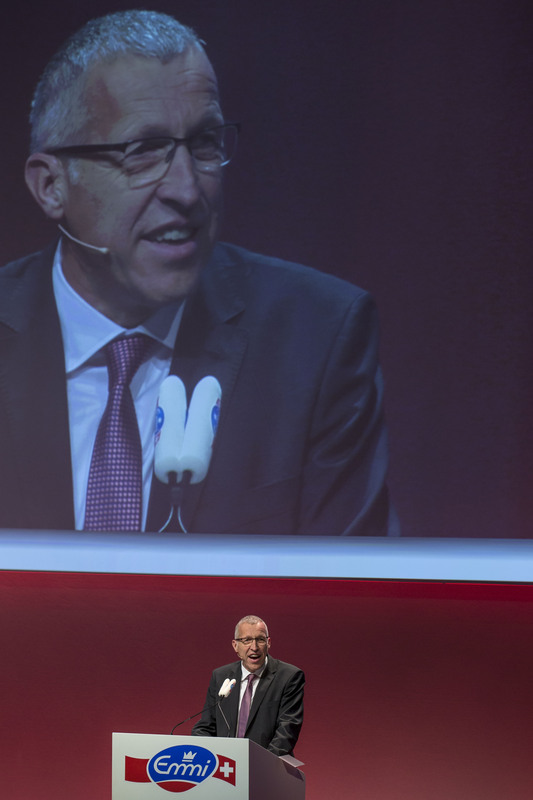 Lucerne, 24 April 2014 – At today’s General Meeting in Lucerne, the shareholders of Emmi AG approved all the proposals put forward by the Board of Directors. The meeting was attended by 1222 shareholders, representing 4'254'052 of registered shares or 79.52 % of the share capital. Various changes resulted at the General Meeting of Emmi AG following the entry into force of the “Ordinance against Excessive Remuneration in Listed Companies” on 1 January 2014. Among others, these included elections as the members and Chairman of the Board of Directors will now be elected annually. The General Meeting also elected the members of the Personnel and Compensation Committee and the independent proxy. In accordance with the ordinance, further changes will be implemented next year (remuneration report, vote on the total amount of the remuneration, revision of the articles of incorporation, possibility of issuing instructions to the independent proxy electronically). Konrad Graber, Chairman of the Board of Directors of Emmi AG, chaired the General Meeting at which all proposals of the Board of Directors were approved. The Annual Report, the Consolidated Financial Statements and the 2013 Financial Statements of Emmi AG were approved and the members of the Board of Directors discharged (agenda items 1 and 2). The shareholders also approved the distribution of a dividend (exempt from withholding tax) of CHF 3.80 per registered share (previous year: CHF 3.60) from the capital contribution reserves (agenda item 3). This will be distributed on 2 May 2014. The shareholders approved the proposals of the Board of Directors regarding all items concerning election to the Board of Directors (agenda item 4). All members of the Board of Directors were individually re-elected. Konrad Graber was also confirmed as the Chairman of the Board of Directors. The shareholders also approved the individual election of Konrad Graber, Stephan Baer and Thomas Oehen-Bühlmann to the Personnel and Compensation Committee. The General Meeting voted on the appointment of the statutory auditor (now KPMG AG, Lucerne) under agenda item 5 and of the independent proxy (as previously: Pascal Engelberger, lawyer, Burger & Müller, Lucerne) under agenda item 6. These were also in line with the proposals of the Board of Directors. 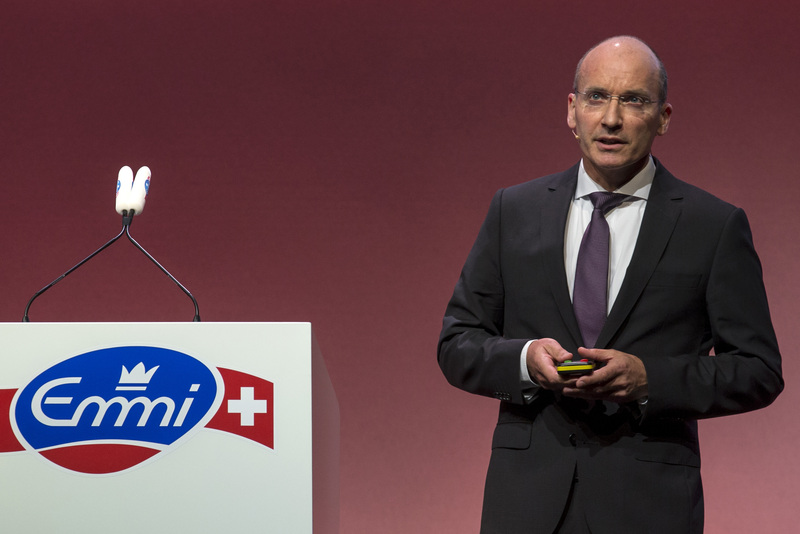 Emmi is the largest Swiss milk processor and one of the most innovative premium dairies in Europe. In Switzerland, the company focuses on the development, production and marketing of a full range of dairy and fresh products as well as the production, ageing and trade of primarily Swiss cheeses. Outside Switzerland, Emmi concentrates on brand concepts and specialities in established European and North American markets, and increasingly in emerging markets outside of Europe. The primary focus in fresh products is on lifestyle, convenience and health products. In the cheese business, Emmi positions itself as the leading company worldwide for Swiss cheese. Emmi’s customers are the retail trade, the hospitality and food service sector and the food industry. In 2013, Emmi posted net sales of CHF 3,298 million and a net profit adjusted for one-time effects of CHF 98 million, employing some 5,200 people (full-time equivalents) in Switzerland and abroad.